Unit Twelve has an ongoing workshop programme, with workshops run by Jennifer Collier, Iain Perry and other exhibiting artists, please scroll down for more information. 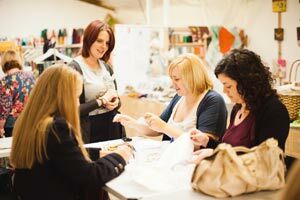 Workshops includes all materials and use of equipment, though it is recommended you bring your own items to make the work more personal to yourself. You will need to bring your own packed lunch, though hot and cold drinks will be provided and even cake too! To book a place please call 07811 460494 and card payment can be taken over the phone or you can book online here. Payment will be taken at the time of booking and all bookings are non refundable or transferable to a different workshop.